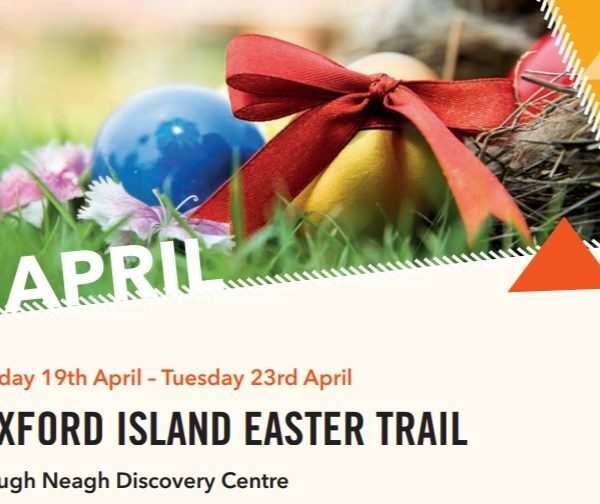 Lough Neagh Events Easter 2019: Come and take part in our self-guided Easter Trail at Oxford Island. Collect a trail from the reception of the Discovery Centre and follow the clues around the reserve. Come and take part in our self-guided Oxford Island Easter Trail. Collect a trail from the reception of the Discovery Centre and follow the clues around the reserve. Complete all the questions correctly and then collect your Easter treat. This is a drop in event – no booking is necessary. Trails will take approximately 1 hour and cost £1.00 per sheet. Contact Lough Neagh Discovery Centre on 028 3832 2205 for further details.